Bonnie Jonas-Boggioni, 65, and her husband were driving home to Plano, Texas, when they were pulled over under suspicion of being drug mules. The elderly couple would not seem to fit a profile for a cartel member, but the Tennessee police felt that they had made a critical mistake in their drug conspiracy. Their car had a picture of a marijuana leaf — apparently a common marking for drug mules. 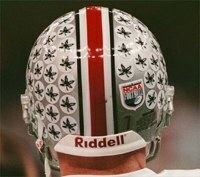 It turned out to be a Buckeye leaf decal. After being detained, the police reportedly told the Ohio State football fans that they needed to be more careful in the future and take off the decal. It appears to be the view of the Tennessee police that a picture of something looking like pot is enough for reasonable suspicion. The couple was actually returning from Columbus and a funeral when a pair of black police SUV’s stopped them and officers with body armor surrounded the car. With the couple’s two schnauzers barking, Jonas-Boggioni was told to get out of the car. 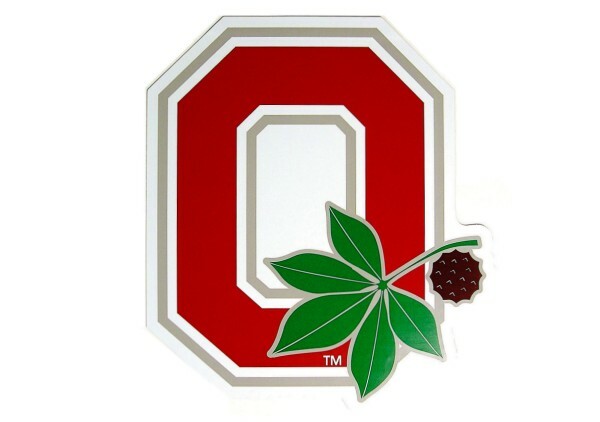 Jonas-Boggioni was immediately asked “What are you doing with a marijuana sticker on your bumper?” After explaining that it was a Ohio State sticker, they were told that they should remove the sticker to avoid further trouble with the police. The problem however was not a lack of botany training for Tennessee police but a lack of police training. The entire car could be painted celebrating marijuana and showing pictures from Reefer Madness but it would not create a basis for reasonable suspicion. Indeed, it is absurd to believe that a drug courier would advertise in this manner. The police were reportedly part of a joint drug enforcement effort that day. Many have objected that our anti-drug campaigns have become a type of perpetual enforcement machine that demands greater numbers of stops and roadblocks. This stop is on one level funny but on another level chilling. It shows an arbitrary attitude of police in the “war on drugs” and a complete lack of understanding of basic legal rules and constitutional protections. Thankfuldid you see the wonderful pictures of how your puppy seems now? And the way he lives? “Boss” is DYING THERE! Forgot the etiquette here. Sincere thanks, DonS. For myself, I consider GMO agriculture as “barren fields” There are FDA and USDA data, studies. etc which proves this to be true. Monoculture however achieved is a waste land after some years of Agent Orange renamed Roundup. Monsanto is the seller and political armtwister. Biodieversity is our way to survive.